The Strabane Community Project supports the quality of life experience for older people, the unemployed and the marginalised in society and contributes to social and community renewal. 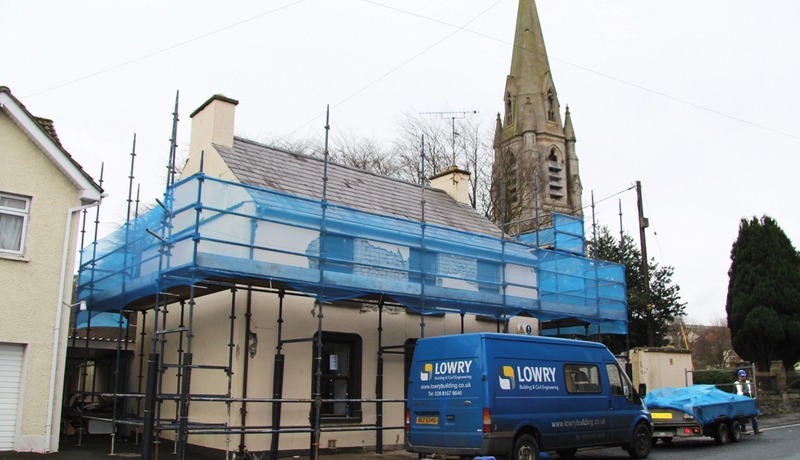 A key project to further these aims was the full refurbishment of number 42 Barrack Street, Strabane to provide a new day care and activity centre. The scheme involved significant internal refurbishment to the existing detached, two storey period property including structural works & demolition to create new internal layouts and to replace a flat roof to the rear of the building. All windows, doors and floor finishes were replaced and full electrical rewiring was completed to meet current building standards. New lighting and fire detection systems were also installed throughout. The scheme also involved the innovative transformation of a large plot of land to the rear of the property into shared allotments and gardens. This element required significant earthworks, the installation of site drainage and the formation of a network of paths to provide access to the different allotment areas.